How many of you have loved ones that are far away? How many of you have loved ones in the military and/or overseas? How many of you believe that FOOD is the best way to express your love? Yes, yes, and yes? Me too. 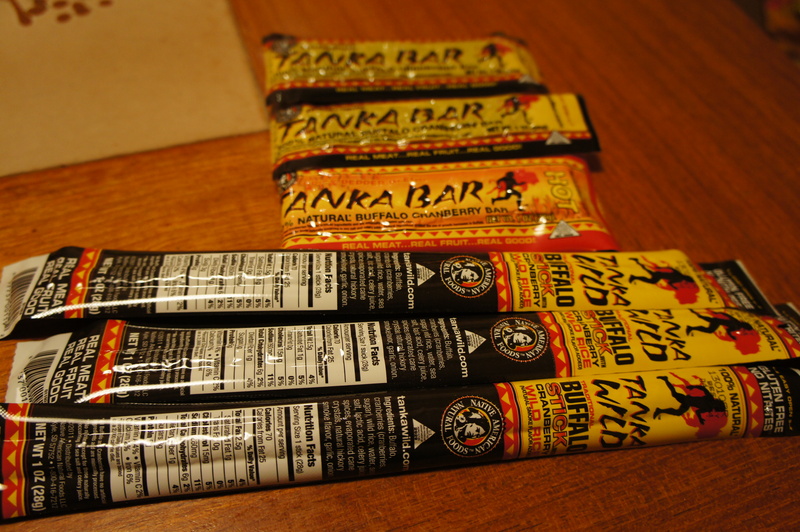 Since most of my loved ones practice paleo/primal eating habits, my care packages are tailored for their needs. 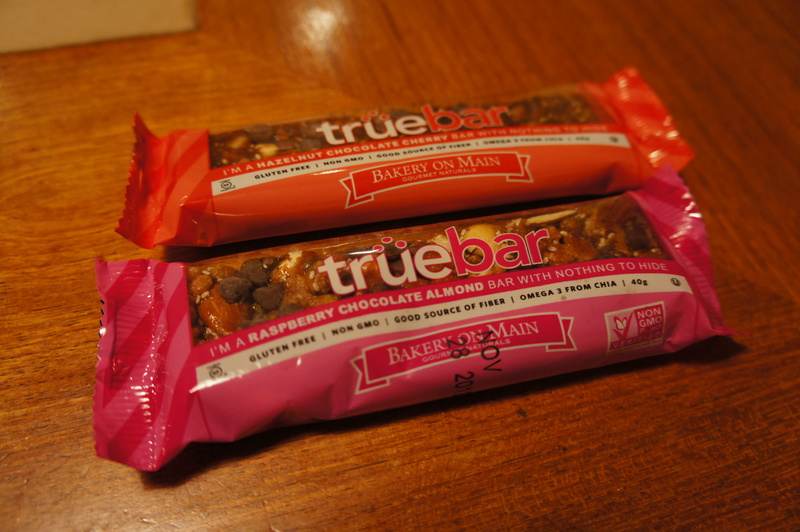 If you’ve read my blog before, you know that I am not, so it makes it a little bit of a challenge since I am not as nearly in tune with paleo/primal dietary restrictions. Plus, there are some things that are just SO good and worth breaking the rules just a little bit. The most important thing that I do is READ the entire label and check the expiration date. 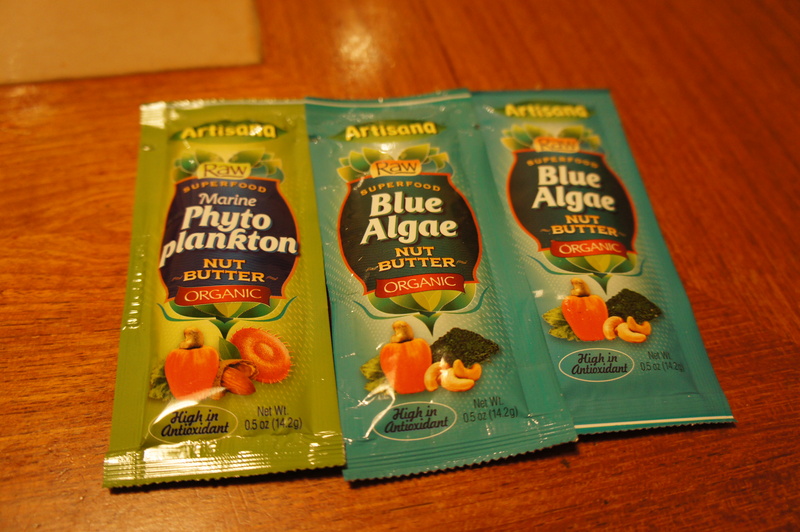 Things that don’t expire until 2030 are OUT and things that expire within the next 6 months are out also. Often times these overseas care packages take over a month to find their destination, so I want to be sure the food lasts long enough. Occasionally some corn products slip into the boxes, but wheat almost never makes the list. For some reason, I find corn more forgivable than wheat (which may not be your preference). I vary my boxes each time I send them, so this is only ONE of the many boxes I send. I’ll try to post the others as I send them to give you more ideas. As always, I used a USPS Large Square Flat-Rate Box. 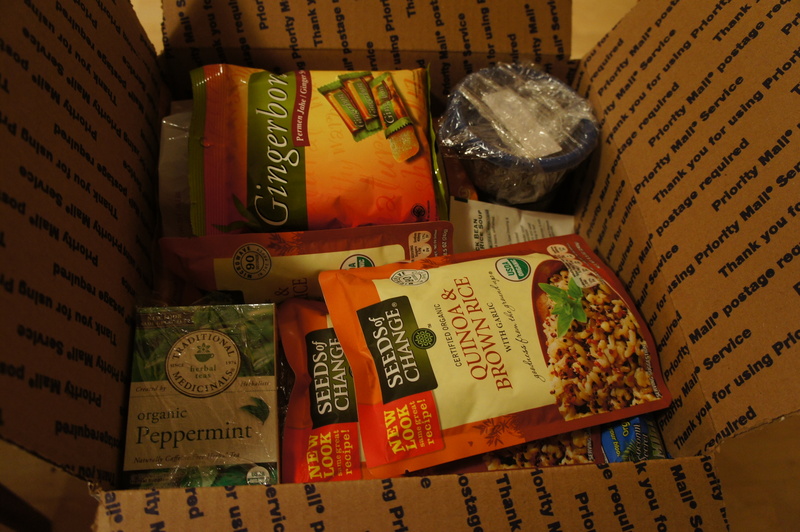 The box ships to any US address or FPO for $13.95 and for up to 20 pounds. 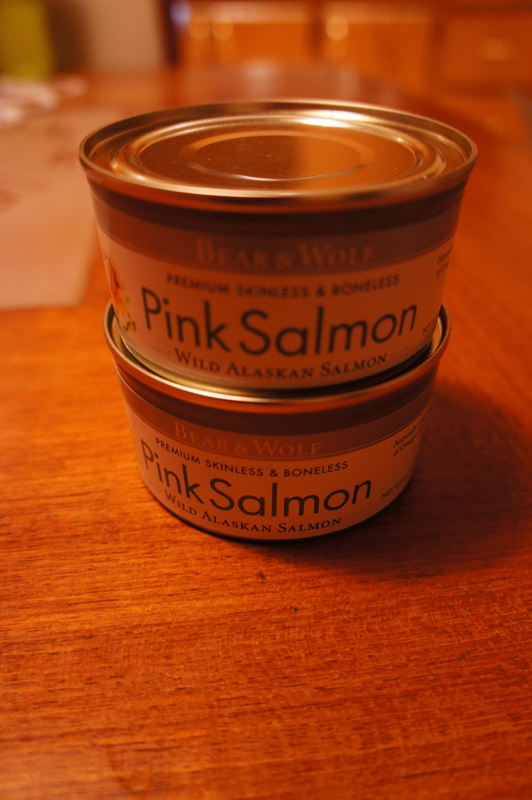 Bear and Wolf Pink Salmon – I purchased this at Costco so I’m not sure the pricing. This salmon is pretty good for canned, and the cans are one serving size, which I think is good. 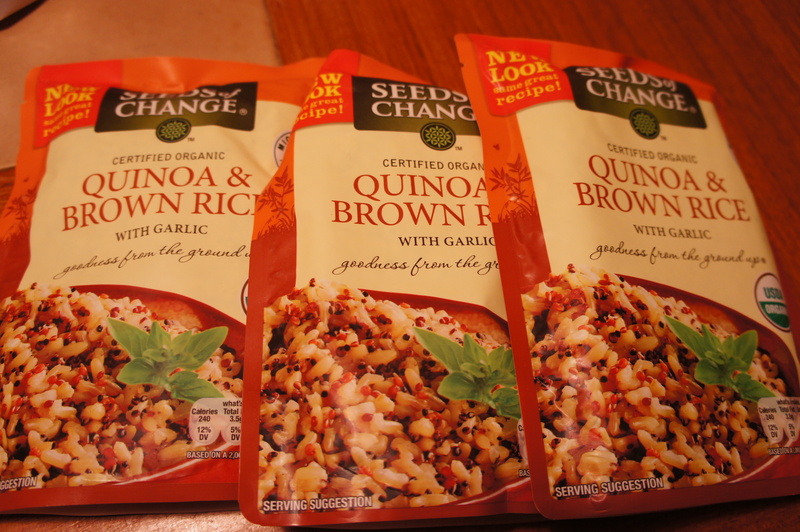 Seeds of Change Brown Rice and Quinoa – For a little variety, some precooked rice and quinoa. 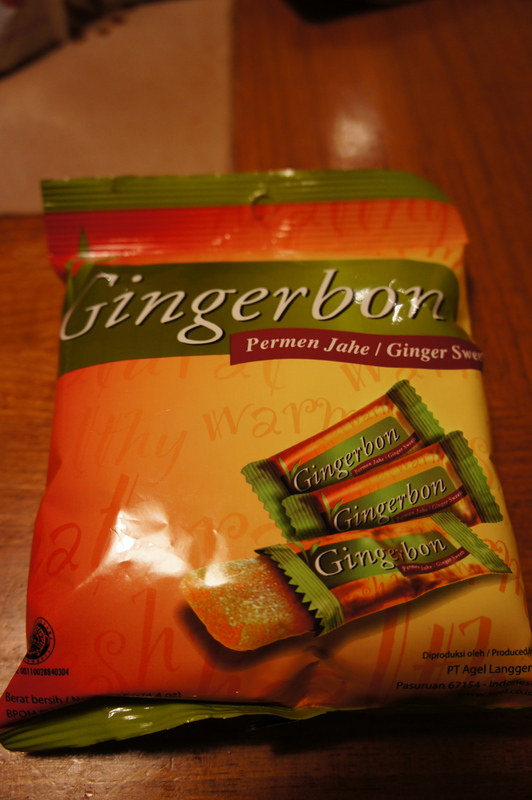 These packets aren’t particularly delicious. 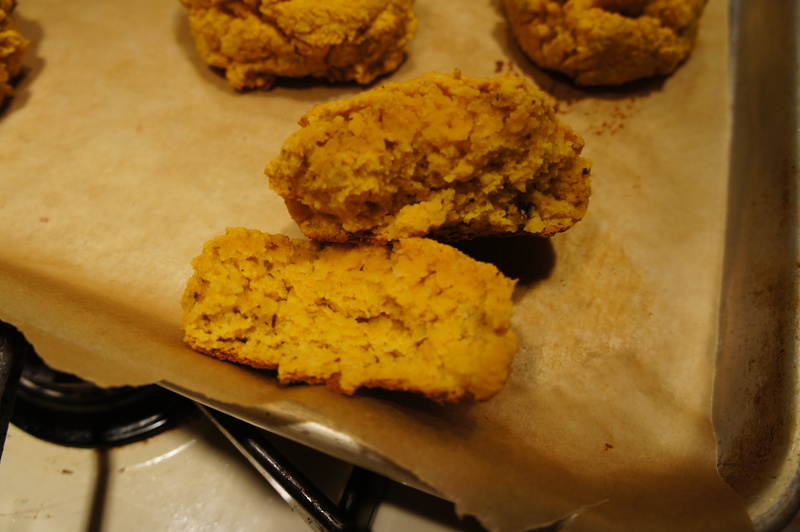 They are just plain Jane, but they heat up in the packet in the microwave or on the stove top in less than 5 minutes. For people on the go, I think this is a good option. Definitely needs some protein or flavoring, but it’ll do the trick. I bought these at Costco also, but I think it works out to about $1 a packet. 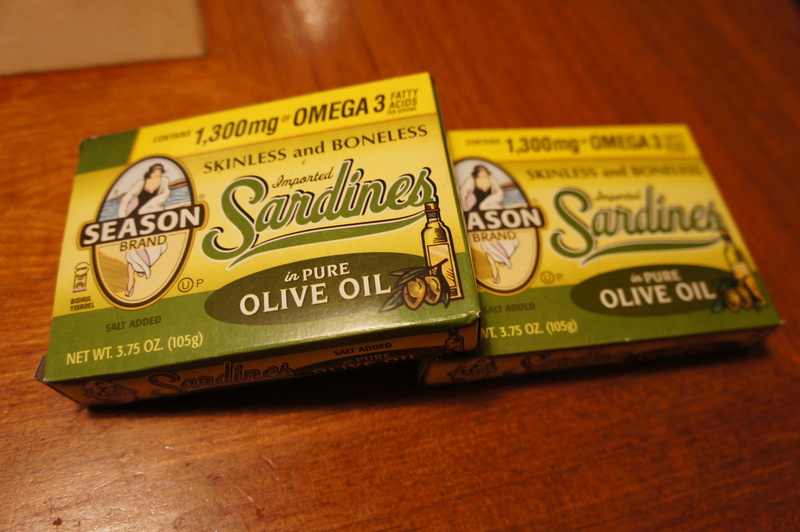 Season Sardines in Olive Oil – Sardines! 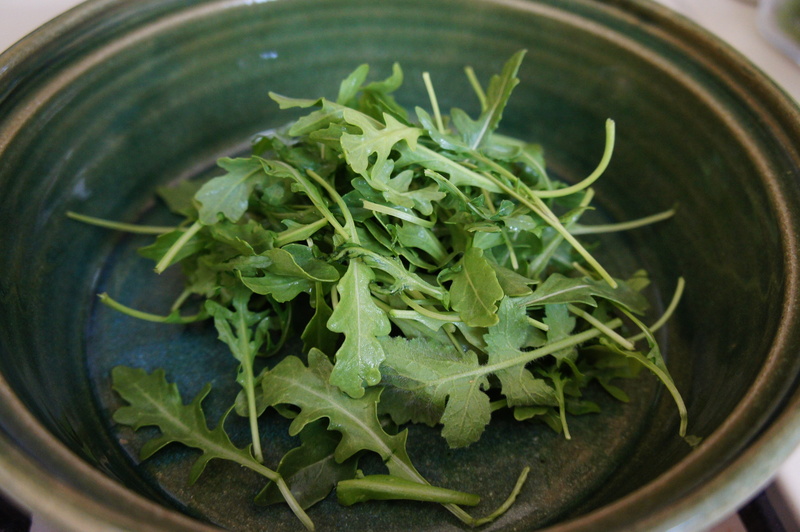 Good protein and calcium for people who don’t have access to vitamin rich food. Plenty of olive oil to keep you full with good fats. 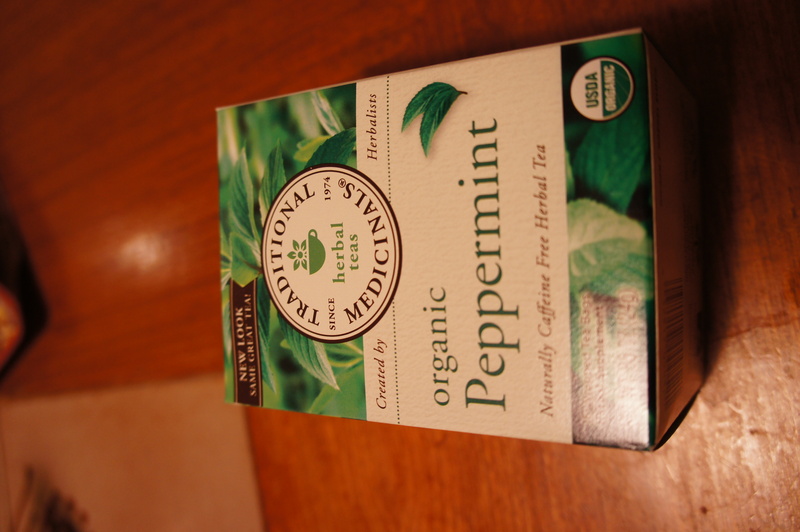 I also bought this at Costco, but I think it works out to about $1.50/box). 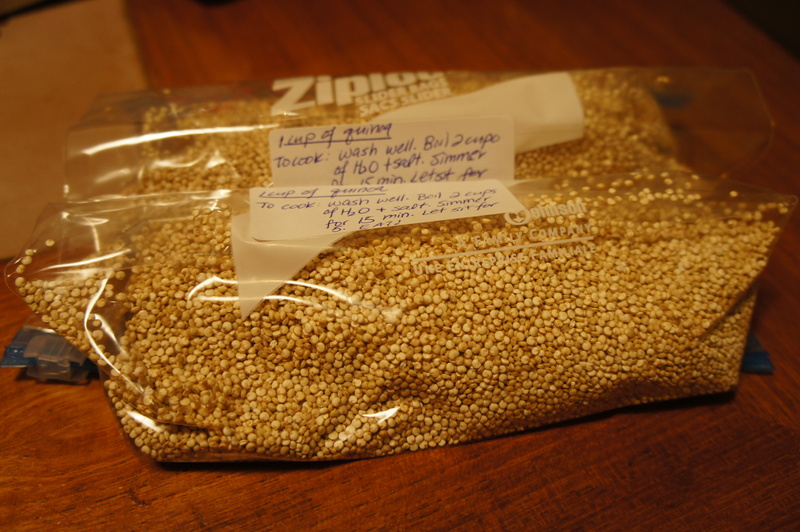 Bagged Quinoa – I originally got this HUGE bag of quinoa from my older sister, but then she made the change to be 100% grain free, so I inherited this bag. 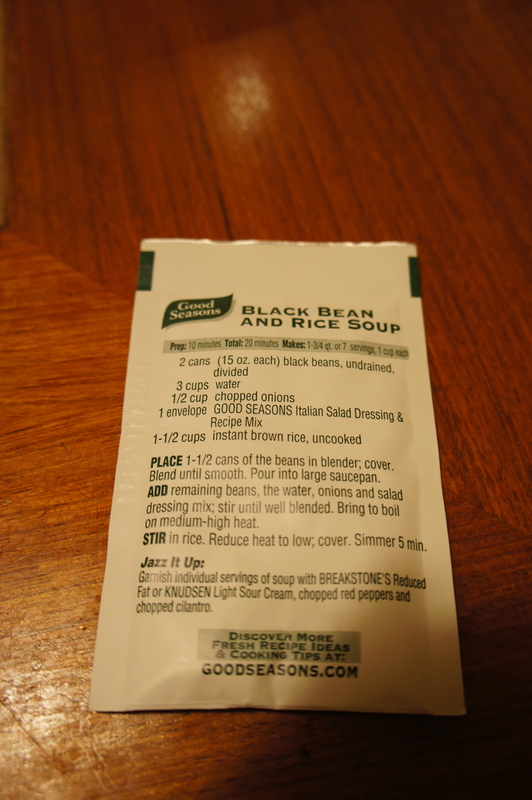 I’ve been doling it out in 1 cup increments in my care packages, but after the bag is used up I will not be purchasing quinoa unless for very special occasions. 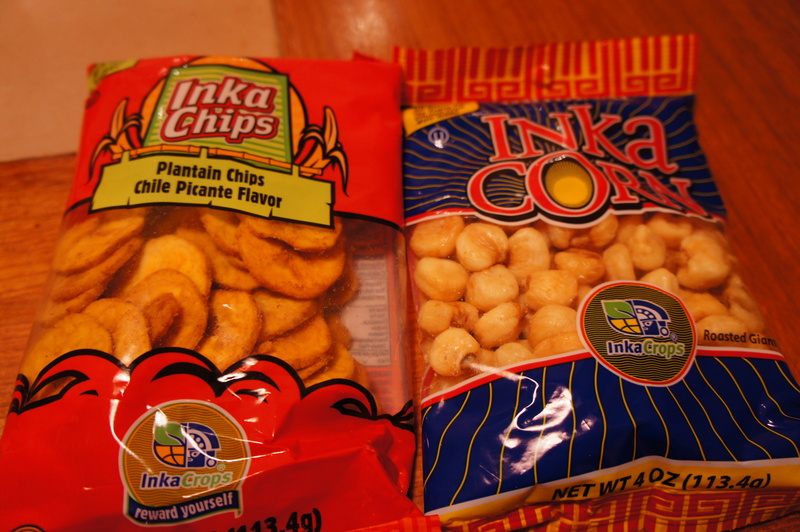 More on that decision later (I’m still in the process of doing some research on the quinoa issue). With things that are bagged, I label them with instructions and specific measurements so that whomever receives them won’t have to make the extra step of measuring. 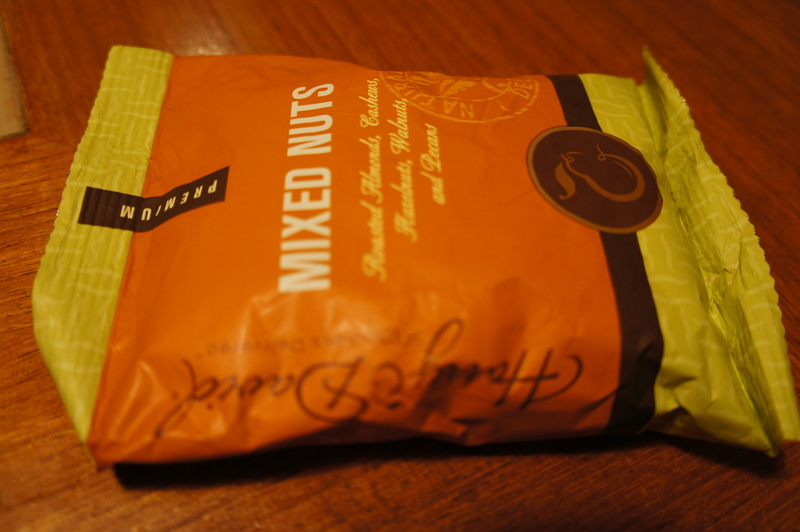 Harry and David Mixed Nuts – I like to pack one serving size of nuts, but I’m an airhead and forgot to pick up extra packets today. 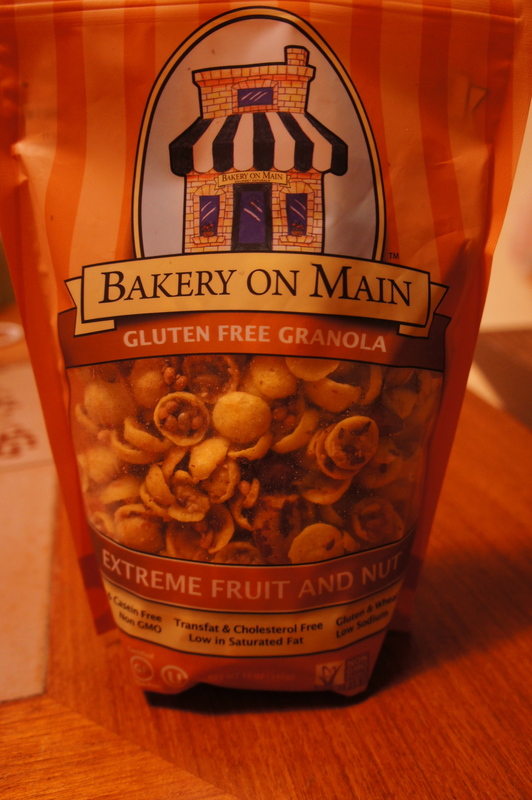 I had this one so I’m adding it to the box, but normally I’d have a variety of toasted hazelnuts and lightly salted macadamia nuts. Good Seasonings Italian Dressing – My older sister will be having a fit when she sees this, but I threw in a packet of salad dressing powder. It’s good to adding to quinoa before it’s cooked through, sprinkling on meat before grilling, and adding a little flavor to otherwise rather bland food. In the future, I’ll be sending Penzy’s Spices, but I didn’t have a chance to nip out there, so this commercial (probably GMO and chemical stuffed) packet has been included. Finally, my personal favorite!! Chia seeds!! I love these always. I bought a giant bag from Costco for $10 and have been packing 1 cup at a time in my care packages. So this is my final box: It’s still got some room. I’ll add some samples of cosmetics and other knick knacks before sending it out. 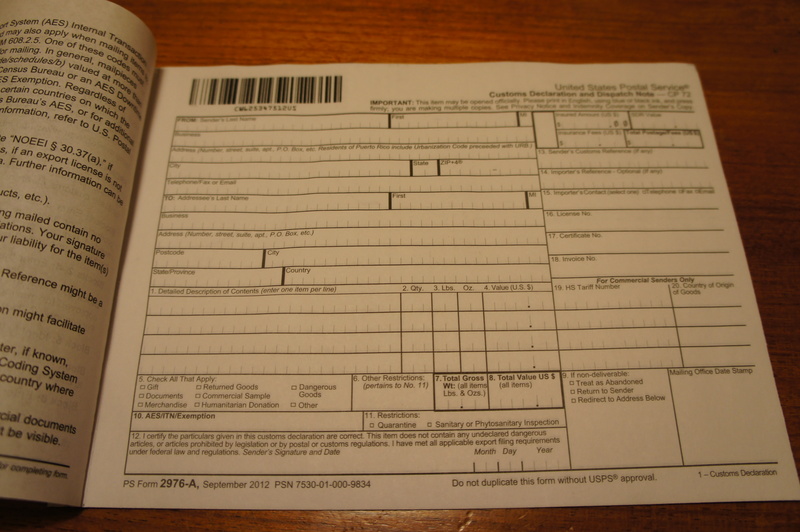 And don’t forget to fill out that awesome Customs Form for things leaving the USA! I hope this little list helps you pack yummy things for your loved ones! What do you pack for your loved ones? Any suggestions on things to add or subtract from my box? This morning, I woke up, ran through my chores at the speed of light before bolting out the door. I have been getting a little stir crazy, so I went to the mall and tried on a number of fun little outfits. I love shopping, and today I had a blast trying on some really fun little summer outfits. I decided after trying on a candy-colored striped dress that it was time for guacamole and some summer barbecue. Nothing says “summer” like a pile of perfectly caramelized ribs and a whole bunch of zesty guacamole and chips. So I went to the store… they were having a sale on avocados. 10 for $10!!! So I gathered 10… that is I think I gathered 10! 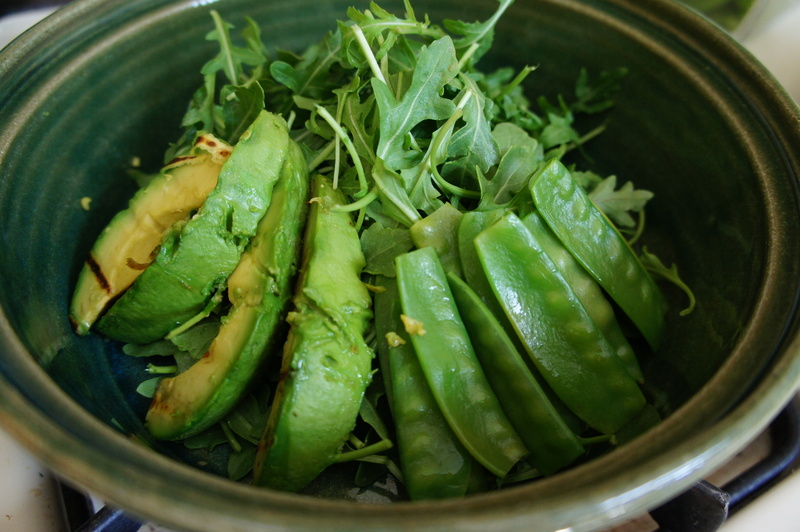 Because when I got home I realized I miscounted and had 11… I think I “stole” and avocado! Anyway… Today I tried a different method of cooking my ribs. I alternate between the dry rub I wrote about HERE and wet barbecue sauce where I cut up the racks into segments. Anyway… the point is today, the ribs came out absolutely tender and succulent with just the right amount of crisped fat and bubbly barbecue sauce so I thought I would share! The method is easy peasy, but remember to crack a window or run a fan because the heat from the oven definitely makes the kitchen quite warm! Mix together the salt, pepper, paprika, and chili together. Lay ribs on rimmed baking sheets, meat side down. 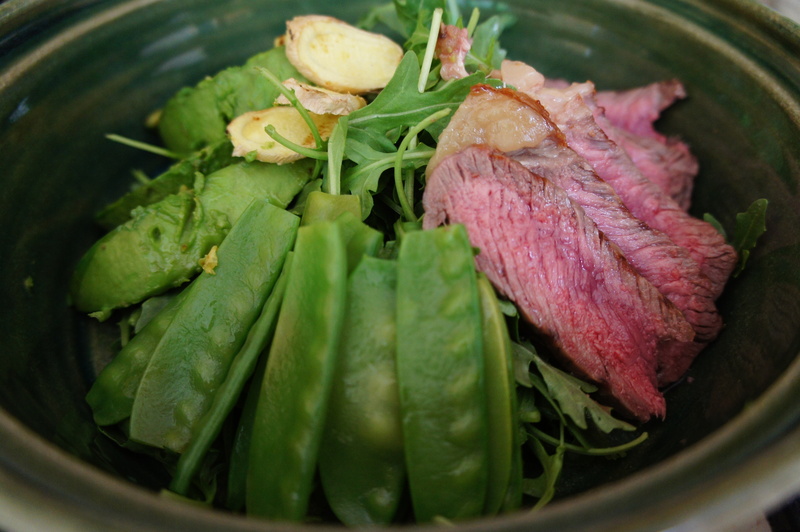 I’m sure you guys have gathered that I LOVE steak, avocado, and ginger… so naturally I put them all together in this salad for lunch. With ice cold tea, this was the perfect springy lunch. I splurged and bought an organic, grass fed Australian steak. Sprinkle steak with good salt and grill. I like mine rare, so I grilled accordingly. 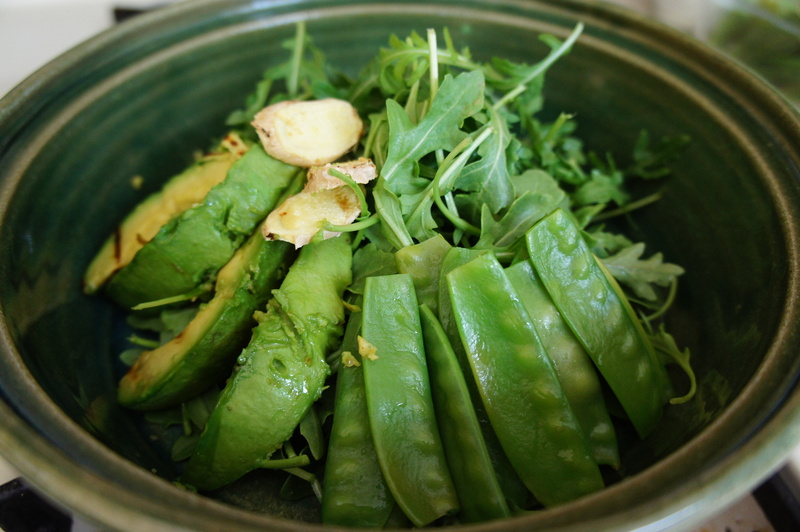 Arrange the salad in your favorite bowl and sprinkle with your favorite salad dressing. 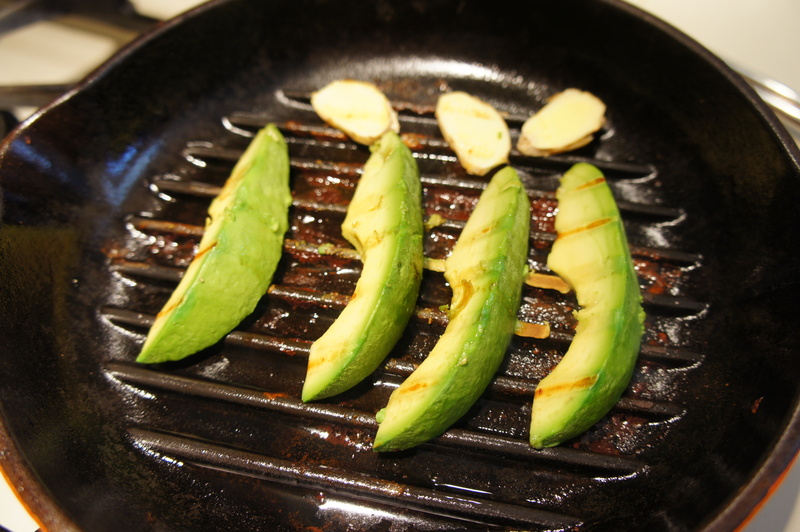 *The grilled ginger is rather bitter, but tossed with the salad it imparts a light gingery flavor. 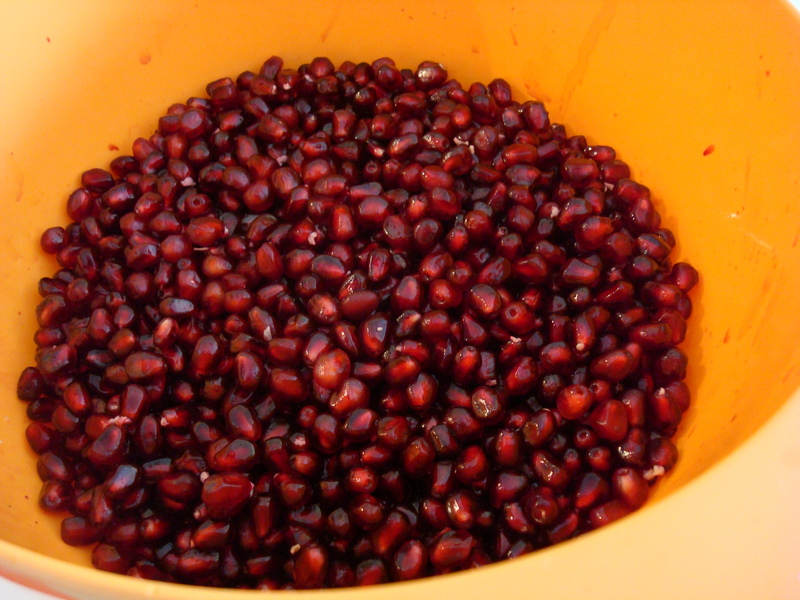 A while back I posted “How to Peel Pomegranate” complete with pictures and detailed information on how I peel my fruits. You can see that post HERE. Though pomegranate season is nearing the end, I thought I would share this new video that I saw. 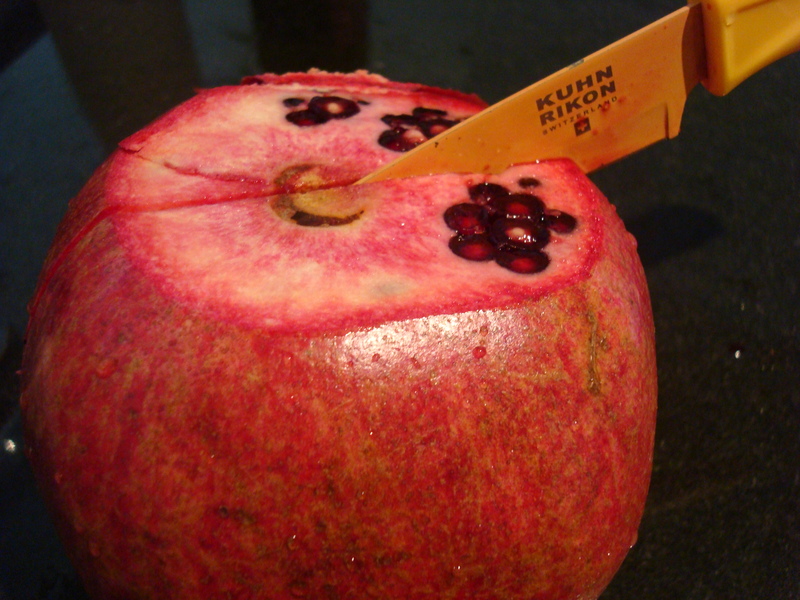 This gentleman explains and demonstrates how to extra pomegranate seeds efficiently with a knife and wooden spoon. I have yet to try this technique, but from what I see, it looks like an efficient alternative to sitting and gently peeling the fruit. He gives great explanation, so you can watch the demo below. With your fingers, gently “stretch” the edges of the fruit to dislodge some of the seeds. So… I spent a few days with my older sister and whipped up some things for her to eat through the week. She’s an intern, so she spends a lot of time at the hospital and very little time at home. Since she spends so little time at home, it’s obviously difficult to find delicious and healthy meals to whip up in short periods of time. I laughed, because the key to having really delicious roasted vegetables is patience. There is a distinct difference between the temperatures at which vegetables are cooked that makes them more or less palatable… and how long you cook them. Roast at higher temperatures. I normally roast my vegetables at 425 F or 450 F. The higher temperature helps the vegetables get that desirable golden crust and cooks the insides of the root vegetables into a fluffy texture. Roast longer. 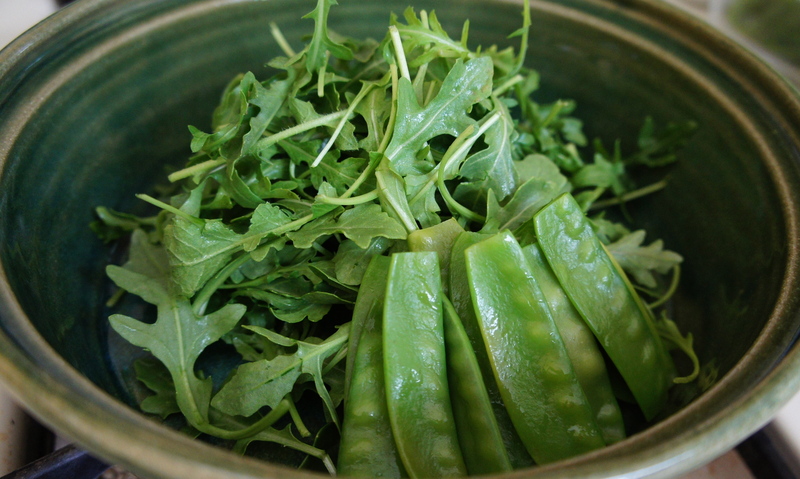 There is a distinct difference between well cooked vegetables and undercooked. 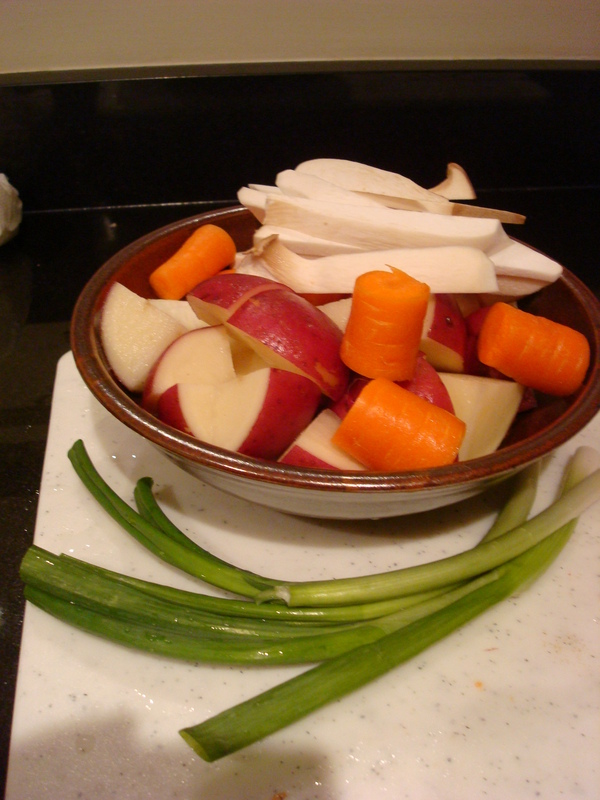 I think this is what sets my roasted vegetables apart from most others… I cook mine for a LONG time. 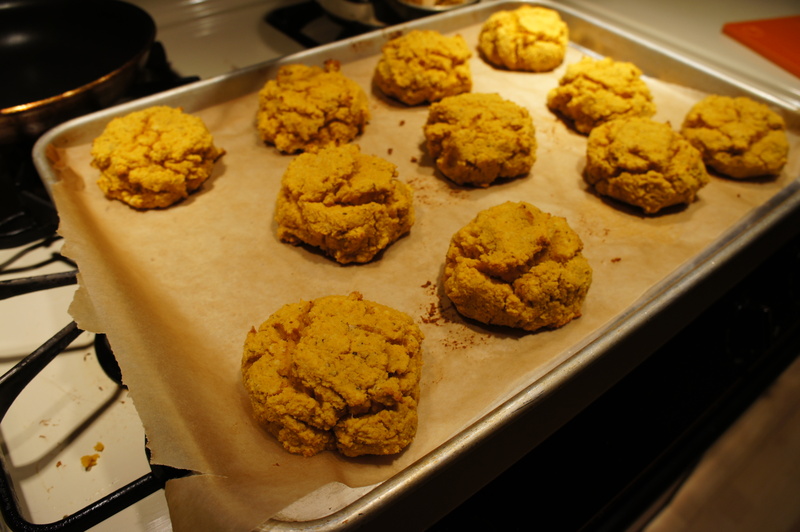 I normally put a tray of cauliflower and carrots into the oven at 425 F for 65 minutes. Most recipes I’ve seen for comparable roasted vegetables say about 30 minutes. Vegetables take on an entirely different texture once they have been roasted for longer. Sweet potatoes start to caramelize and take on a chewy texture that rivals the best caramels. Carrots become plush but toothsome bites that are like distilled sunshine. Rotate generously – I rotate my pans about 3 or 4 times. I often switch from the bottom to top racks to ensure that the vegetables roast evenly and flip the pans around so everything is browned nicely. Next time? There will be pictures. So many pictures. 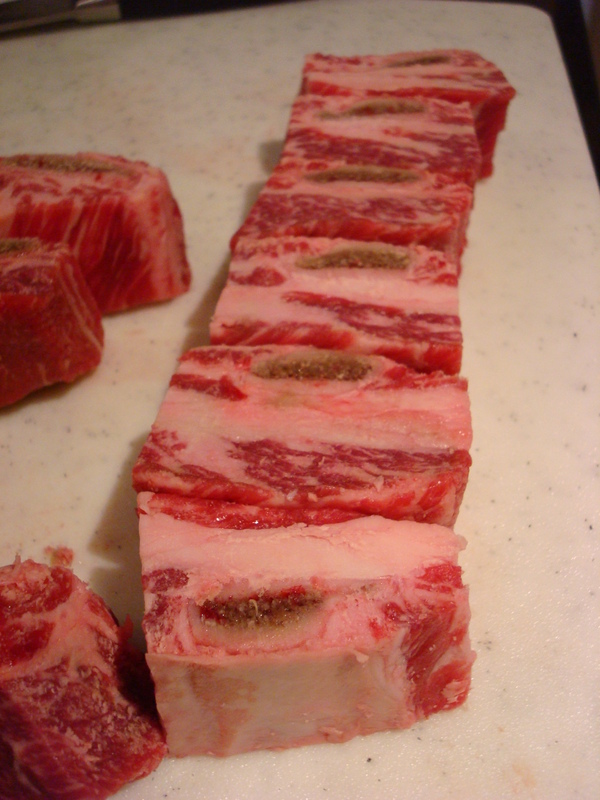 This is a recipe for Korean braised beef short-ribs… my way. My mother used to make this for me with the proper accoutrements (ginko, chestnuts, dried mushrooms, and Korean radish), but I was delirious, compliments of my cold, at the supermarket so I made do when I got home with a random assortment of food items. The recipe itself is pretty straightforward, but it is important to properly prep the short-ribs before braising them with the sauce and vegetables, otherwise your dish will been extremely greasy because of the heavy marbling in the beef. 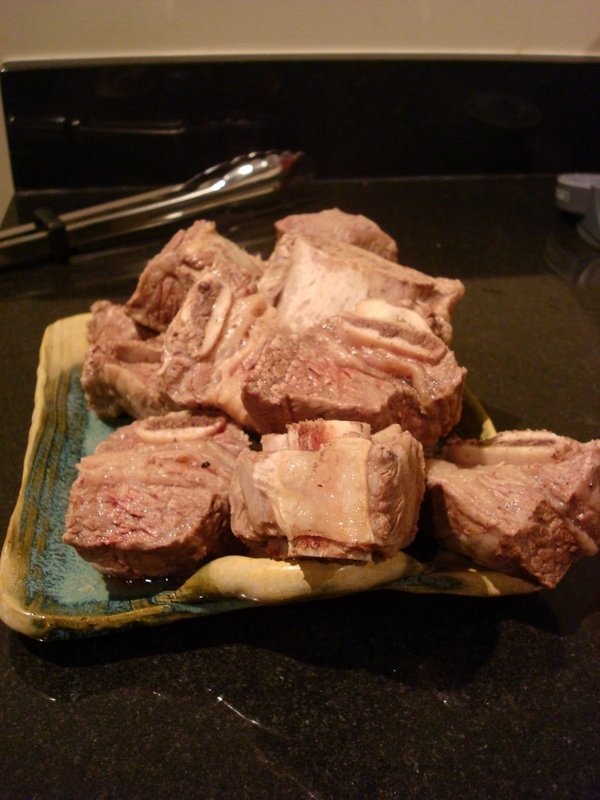 Cut the short-ribs, one bone per piece. 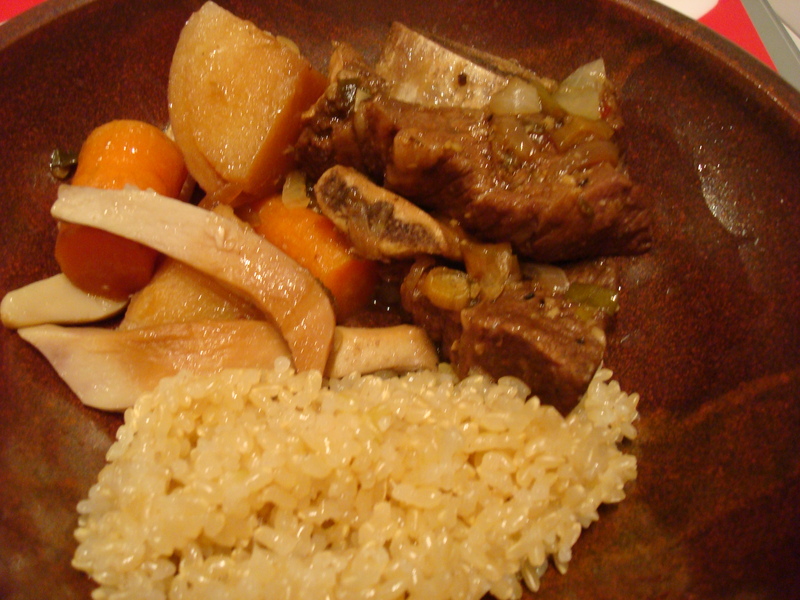 Place the short-ribs into a large pot, with the bone vertical. Fill the pot with cold water and allow the beef to soak for 1 hour. Change the water three to four times. During this time, whisk the water, soy sauce, sesame oil, garlic, and white onion into a bowl. 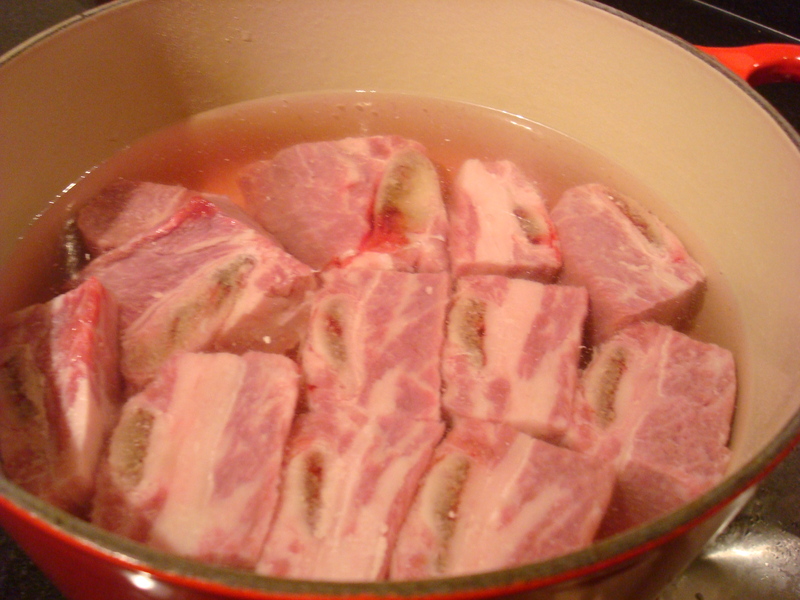 Clean out your pot, and then place the ribs back inside of the pot. In the mean time, slice the potato, carrot, green onion, mushroom (and really any other vegetable that you want to add, just make sure it’s a sturdy vegetable that will hold up after simmer for an hour). Check the beef after 1 hour by sliding a knife into the meat. If your knife slides in the meat easily, the dish is ready. If the meat resists, then cover and simmer for another 15 to 30 minutes. Do NOT open the lid of the pot while the meat is simmering, the steam that forms inside of the pot is essential in allowing the meat to cook evenly. Left-overs keep well for up to 3 days (That’s how long mine stayed in my fridge before I devoured it, I’m sure it’s good for up to a week, but I can’t guarantee past 3 days). 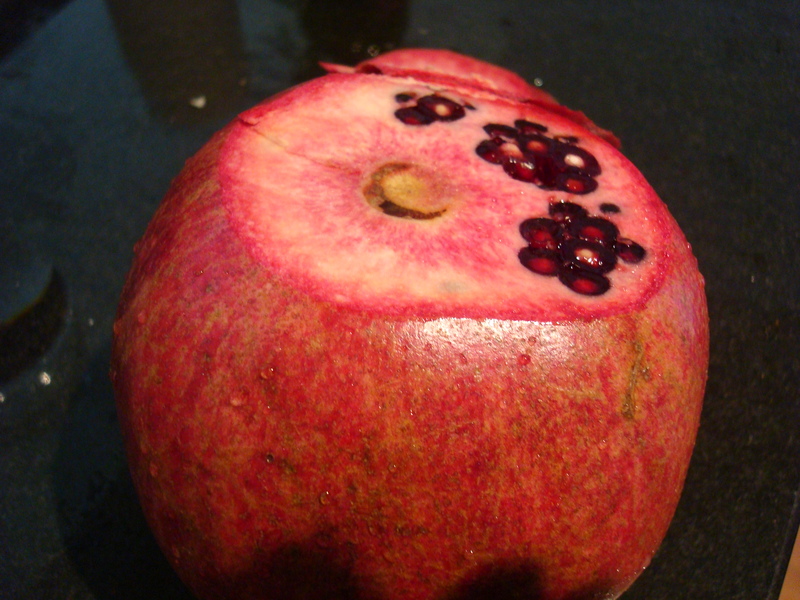 As an avid pomegranate lover, I have perfected the technique to peeling this fruit that frequently leave people covered in splotches and sticky juice. 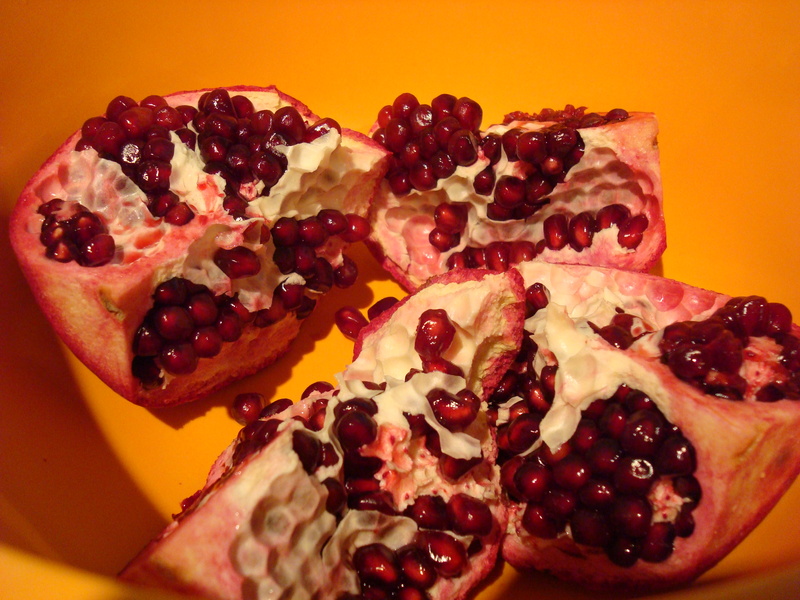 I have read some suggestions like “submerse the entire fruit in water and peel it under water….” Not to be rude, but do you know how much water you need to submerse the pomegranate? And do you know that instead of having little red dots of juice everywhere, you just have soggy pomegranate peel and water splashed everywhere and some red dots of juice anyway! I know. I’ve tried it…. more than once with very poor results. Or I’ve read that you should roll the fruit around until it’s mushy and then poke a hole in the fruit to drink out the juice…. I don’t know about you but that sounds like a lot of work for juice you can buy in an adorable bubbly bottle from POM. Plus, I want to eat the seeds! 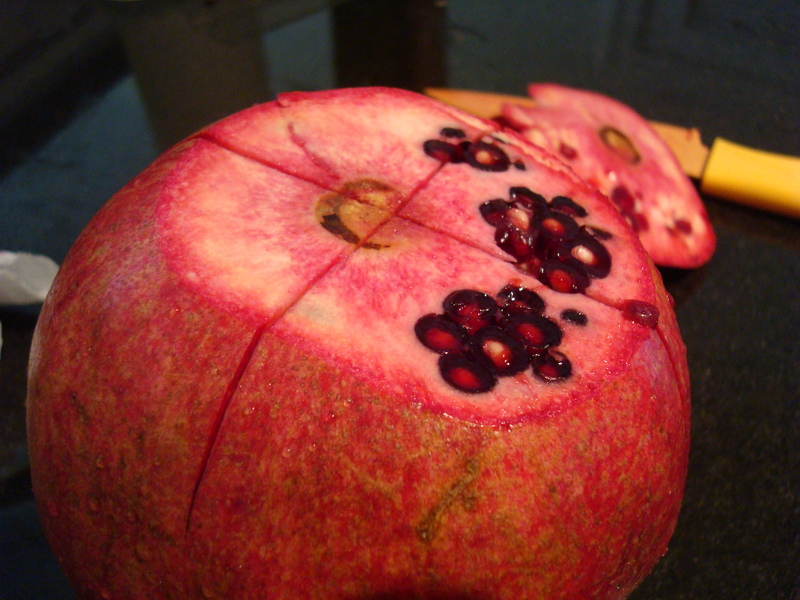 If this is your first time peeling pomegranate, change into black clothing so you don’t ruin anything. 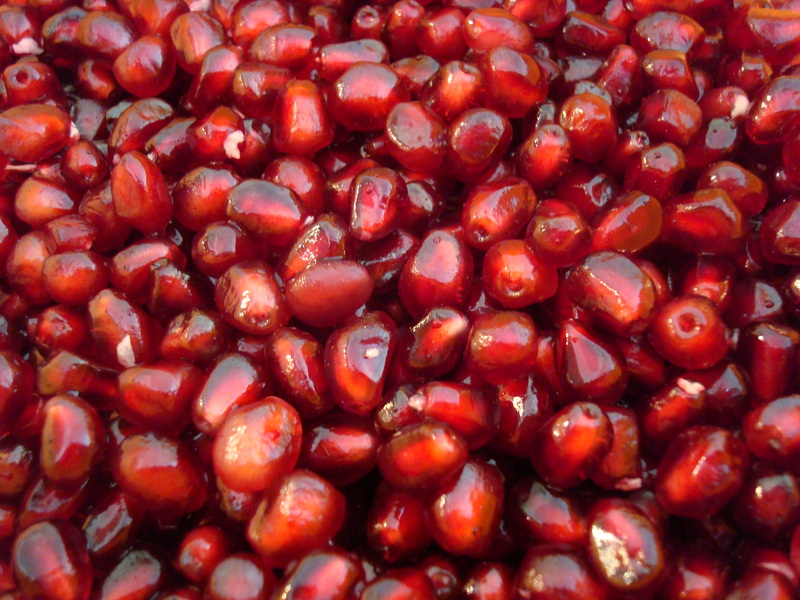 Pomegranate has bright red juice that turns purple and blue when you try to wash it out… and with Shout! it turns into a vibrant neon blue. So, black it is. 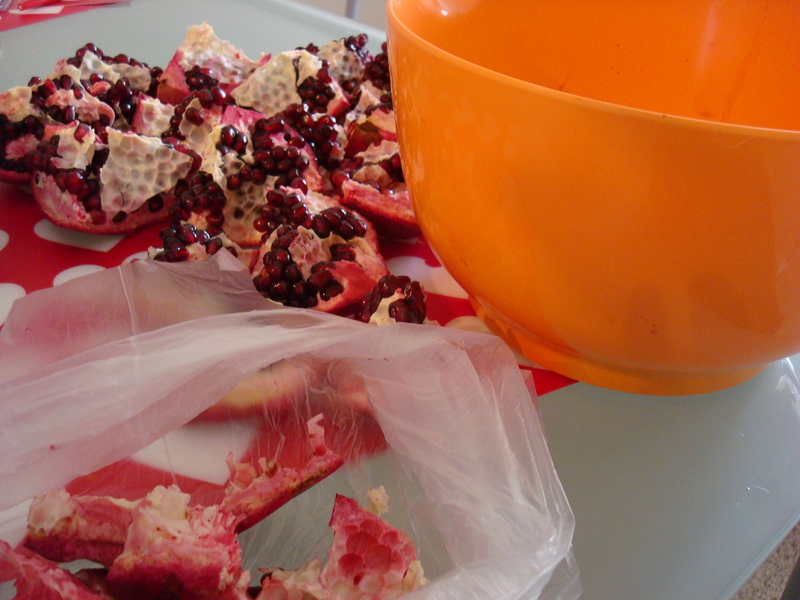 Repeat this process with as many pomegranates as you plan on peeling (in the photos, I’m peeling 3 very large pomegranates at once). Starting with one quarter, face the seeds into the bowl and break the piece in half. This should expose more of the seeds. Gently remove the membrane of the fruit and dislodge the seeds into the bowl. I keep a produce bag open next to me so I can collect the peel and membrane as I peel. Personally, I like put the seeds in a huge bowl, and grab a spoon and eat the entire bowl while I watch TV or read a book. I love the tartness and the little bursts of juice. 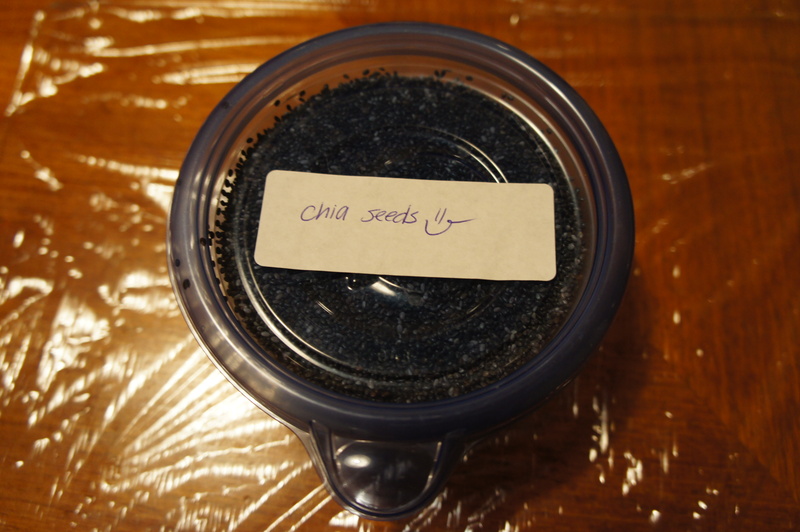 But, in attempt to keep my stash a little longer, I put the seeds in an airtight container and refrigerate the seeds. I sprinkle them (at least 1 cup!) over some Greek yogurt and homemade granola (I’ll post that recipe soon). And with a little patience – VOILA!! I love surprises. I like facts that you wouldn’t expect and recipes that are so easy it’s amazing. 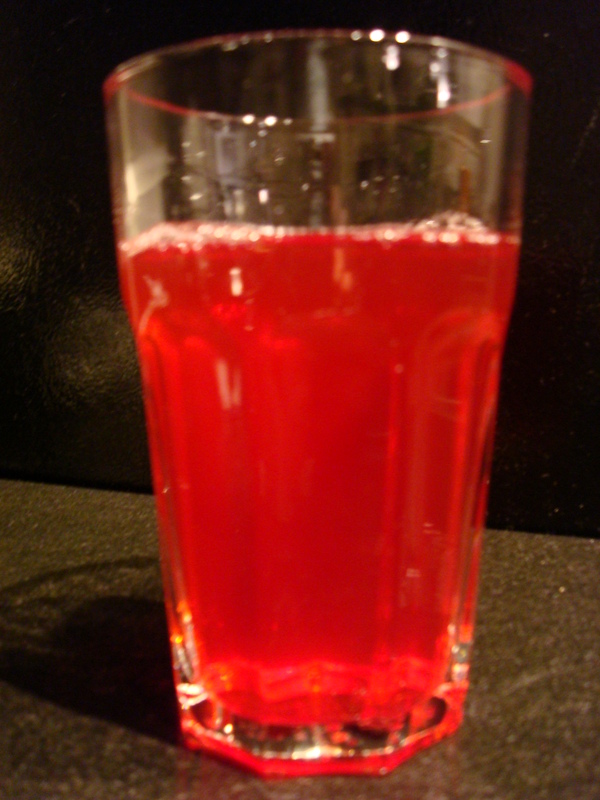 So it was no surprise that when I discovered I could make cranberry juice, I was thrilled. I have been making my own tart and lime spiced cranberry sauce for Thanksgiving for years, but it never occurred to me that I could in fact make my own jewel toned tart juice. I adapted this recipe from here (http://www.mytartelette.com/2006/11/mighty-cranberry.html). Instead of sugar, I use clover honey and instead of discarding the cranberries after extracting the ruby juice, I whizz them in a blender with ice cubes and blueberries. 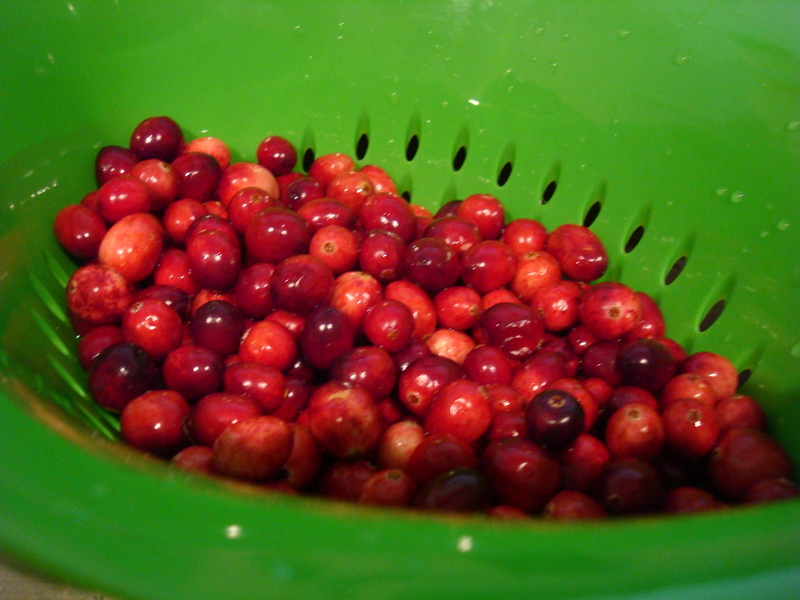 Add the cranberries and continue to boil until all of the berries have burst and the water has turned a beautiful red. JUICE: Put 1/2 cup of leftover berries* and a handful of blueberries and whizz in a blender with a few cubes of ice. Drink! * You can feel free to discard these if you want, but as a poor as a church mouse law student, I try to maximize the yield for all of my purchases. (You know… so I have some money left over for pretty things). You will have about 2-3 cups of berries (they will be a little mushed) leftover. 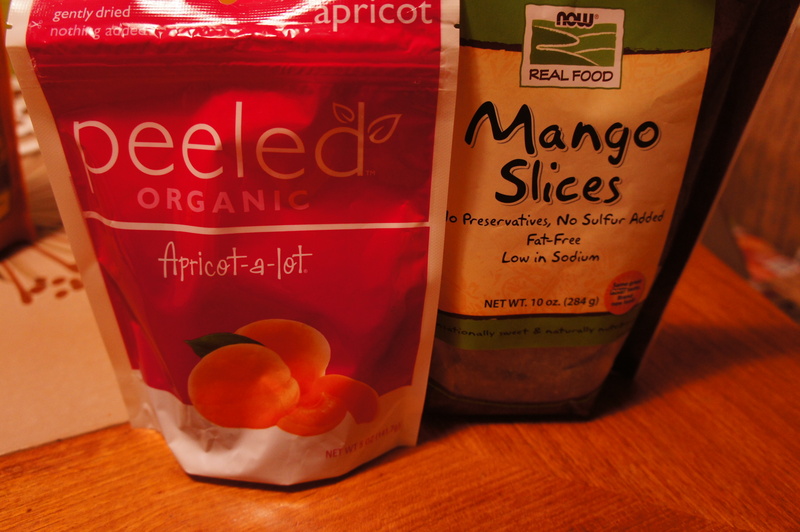 You can freeze these in 1/2 cup increments to add to any of your smoothies.